Many North Texas taxpayers who looked to the IRS for help with their returns were woefully disappointed. That’s because for months lines have been long at IRS offices across the Dallas/Fort Worth area, and April 15 was no exception. Almost an hour before the Farmers Branch tax office opened, the line extended outside the building. “I got here at 7, 7:15 and the line was back to there,” said a taxpayer named Doug said as he pointed out the door of the building. 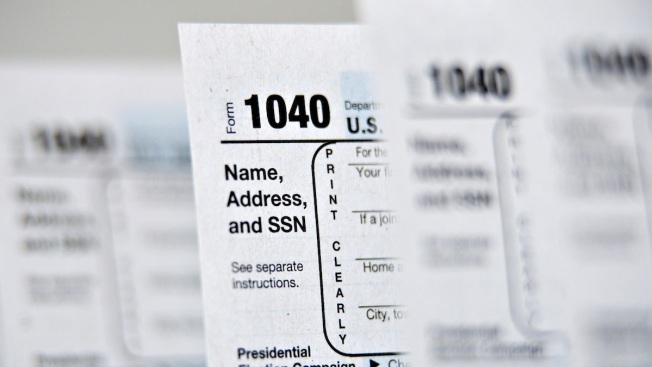 The lines on tax day could not be attributed to only the rush of last minute filers. Other North Texas taxpayers say they’ve struggled for weeks to get help from the IRS. Last month Amy Doty found out someone had fraudulently filed a return using her social security number. “I went right down there and it didn’t go so well,” she said, referencing the tax location in Farmers Branch. It took three visits and hours of waiting before she could see an IRS worker in person. “It was frustrating to have to go that many times because when you pay your taxes and you do what you are supposed to do and you follow the rules and you finally need help, and it takes three times for someone to tell you that you have to go someplace else before you come back,” she said. Tax experts say calling was just as bad. The head of the IRS estimates only six of 10 callers could get through to an IRS worker this tax season. The IRS provides a separate phone line for tax professionals to call for assistance. But Terri Hornberger, head of the Dallas CPA society, says the situation is no better for those who file taxes for a living. The IRS says five years of budget cuts has meant 13,000 fewer employees. Sanford says many questions posed to IRS workers on the phone or in person can be answered online. That free filing service is available for anyone with an income of less than $60,000. Volunteers who offer tax help, some locations open late. Find yours by clicking here.